This is a curved rectangular Elk’s Head Beer porcelain sign. This particular Elk’s Head Beer sign is red with white text. 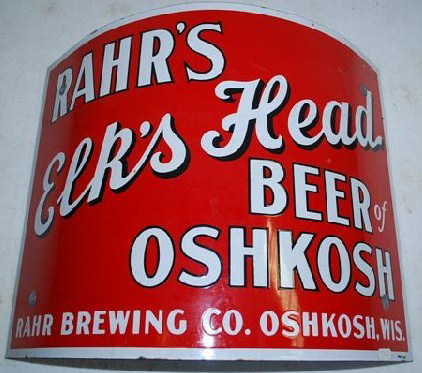 It reads, “Rahr’s Elk’s Head Beer of Oshkosh, Rahr Brewing Co., Oshkosh, Wis.” and features a thin white border.